Yerry Mina did it again! 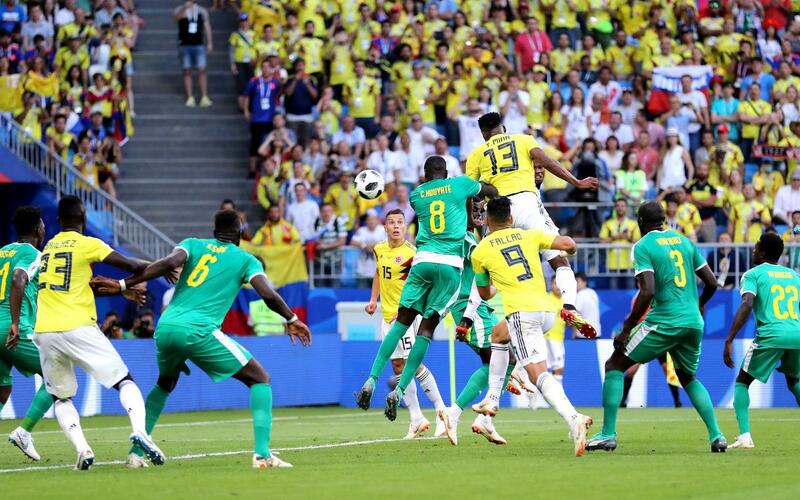 After scoring the opener in Colombia’s 3-0 win against Poland, the Barça centre back was on target again against Senegal on Thursday – with a 74th minute header that sends his country into the last sixteen of the World Cup as Group H winners. His performance was rewarded with the FIFA Man of the Match award after the game. "We couldn't have done it without God" a beaming Mina told the press after the game. "We had to get the ball off them and we did just that to win the game. I want to dedicate this to my family and all of Colombia". "Senegal are very fast but the team responded. We couldn't allow them a second on the ball and had to make the most of everything we had." And asked about the curious way the team celebrated the goal, the defender laughed that "we like to express our joy by dancing. We can only enjoy this moment. It's wonderful!" Los cafeteros needed a win to be sure of progressing but suffered an early blow when James Rodríguez went off injured after just 15 minutes old. They would later be boosted by the news that Poland had taken the lead against Japan. As it stood they were going into the knockout stages, and Mina’s goal made doubly sure of that. The goal also meant that Senegal are going home and by the narrowest of margins – on the number of yellow cards! Colombia, meanwhile, advance to play England on Tuesday at 8.00pm CET. That’s because the Three Lions were defeated 1-0 by Belgium, who therefore topped Group G and will face Japan on Monday 8.00pm CET. Thomas Vermaelen was given his first start of the tournament for the Red Devils in that game and was on for 74 minutes before being replaced by Vincent Kompany. Vermaelen soldiered on despite picking up a nasty gash over his right eye while challenging for a high ball. The Barça defender performed solidly in a game that saw both sides, already assured places in the last 16 before it kicked off, resting several of their more regular starters.